Nearly two decades ago, a film set in the Tuscan countryside provided my first wine-related epiphany. Not through her teenage prattle or any life-changing plot, but through one scene in particular. The rich golden rays on a rustic table, wildflowers and clinking glasses, laughter and debate beneath the branches. I remember so clearly thinking: THAT. That is what I want in my life. Perhaps the memory is idealized, it has been half a lifetime ago, but the sentiment remains strong. It is a moment I’ve chased, and caught several times. Outside of Rome, on the hills of Sonoma, the Hill Country of Texas, and even whispers of it in downtown Austin. Whether it was the breadth of the table, the diversity of the group, the lively conversation or the Old World wines, something about a recent wine lunch reminded me of that movie. 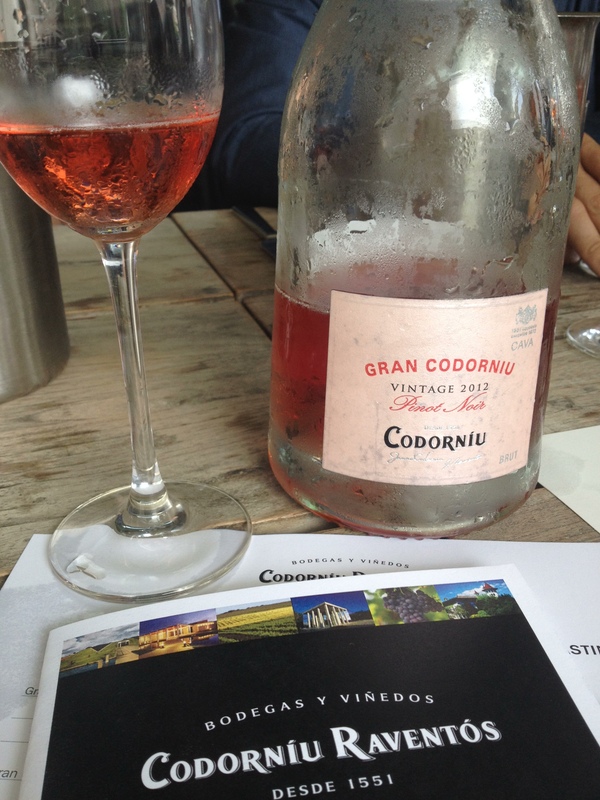 Gregory White PR held a lunch at Second Bar and Kitchen with representatives, writers, and winemakers from some of their brands: Codorniu, Scala Dei, and Artesa. I was familiar with the Cava of Codorniu, a staple for everyday value and one I’ve recommended before, so it was a pleasure to meet Bruno Colomer Marti. Marti has been the head winemaker there since 2008 and his dedication to quality is evident. Before the lunch, I had only sampled the entry-level wines ($8-12) and was blown away by Reserva and Vintage Pinot Noir sparklers. Delicate, fresh, complex. The Gran Codorniu Pinot Noir was a favorite with the fresh berry notes and long, lively finish and at an excellent value at $20. (It is in my refrigerator now, in fact.) Effervescent, approachable, and complex: a reflection of the winemaker. All dinner parties should have a few surprises. Ricard Rofes of Scala Dei took on that role. Perhaps it was the language barriers, perhaps the size of the group, but he seemed to be more of a quiet observer at first. Friendly and warm, but reserved. However, when it was time to discuss his beloved Priorat and his wines, his passion was evident. He explained the history, the unfamiliar grapes, the process and soils. And when we tasted, we understood. We tasted a Garnatxa and two blends, Prior and Cartoxia. Each wine was intense, but balanced. Deeply saturated color which is typical of the region. The Cartoxia was strength and spice, incredibly elegant. Powerful, but subtle. Sound familiar? Representing the domestic line was Artesa from Napa. The Chardonnay was fresh citrus and baked apple. The Pinot Noir had great clarity with red berries and spice. Very tasty wines. If asked about what wines from Carneros taste like, this would be a top contender for examples. Well made, well-balanced, and a classic representation of the region. The name “Scala Dei” translates to “Ladder of God.” This rings true to me on many levels. The region’s beauty is dramatic and awe-inspiring. The fruit it produces tastes like a gift from above. Most importantly, the collective enjoyment of the resulting products brings people together in a unique way. Sharing a glass leads to sharing a story. Sharing stories brings connectivity. Connectivity provides the rungs of the ladder; it is what this life is about. Many thanks to Patricia Clough at Gregory White PR and Aveniu Brands for inviting me and the opportunity to meet such wonderful people. Thank you Bruno and Ricard for taking the time away from your families and your work to share your wines. Thank you to each person that brought a piece of yourselves and shared with us all. I will always drink to that. Cheers! BTW-I made a last minute jump into the Monthly Wine Writing Challenge with this piece. If you liked it, please vote. I haven’t entered in over a year! Interested in your bit on Scala Dei. I am headed there in September hoping to get a full tour through their UK agent. In doing research, I’ve fallen in love with the big, bold Garnatxa of Priorat. Oh wow! Should be amazing. The color if those wines is breathtaking! Looking fwd to reading about your experience. BTW, my daughter has transferred from Ohio State to UT! I will be in Austin much more frequently over the coming years! Oh wow! I guess one winter up there was enough? Looking fwd to meeting! Actually she loved it but wanted to get into UT business school and did so she is back in TX! Good for her! Great program. Sounds like a lovely dinner. I love listening to winemakers speak of their wines. They love them all like their children! Cheers.